A few days ago I shared about my amazing trip to Home Goods, and how I left with some really great things! I also talked about how there had been a few pieces that I was totally swooning over, but were simply out of our budget. One of my favorite things to do is try and find pieces for my home or wardrobe that are affordable, yet comparable to those high-end, rough-on-the-wallet items. The first piece I found at Home Goods helped satisfy my current "hide" addiction. Lately, everything I see that's hide, I want. Please, don't call PETA on me. I eat burgers too. Whoops. 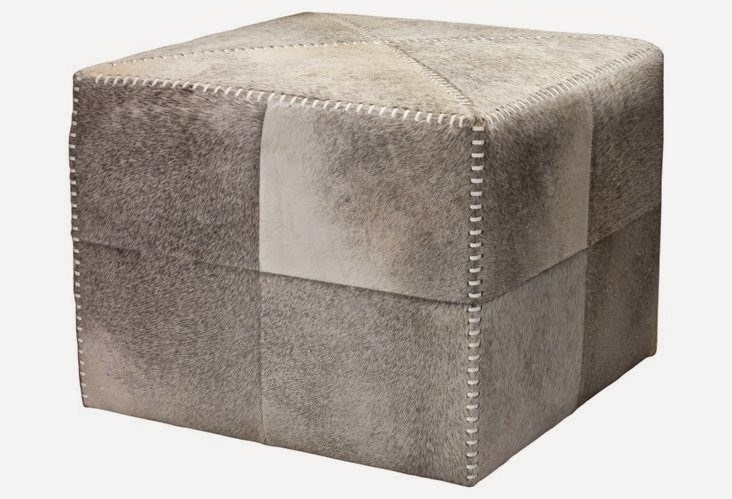 I have looked at this ottoman from One Kings Lane, probably close to a million times. They add that little something I was looking for, and I got them for $60/pillow! Pricey for a pillow? Yes maybe, but I really loved them and to me they were worth it. 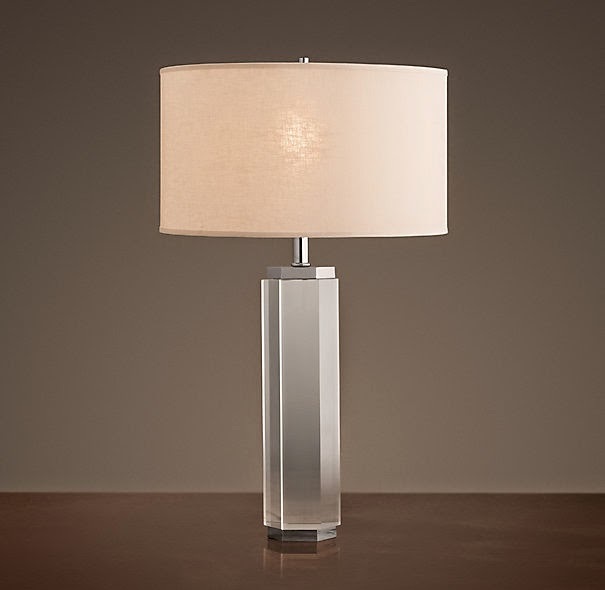 The second thing I had been oo-ing and ahh-ing over was this beautiful lamp from Restoration Hardware for my bedroom. 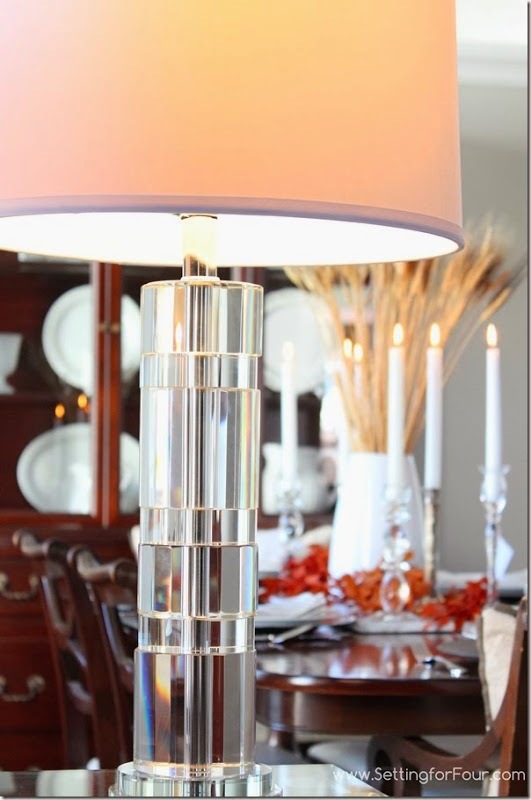 It's actually a really simple crystal-base lamp, but for some reason I was really loving it. The only thing I wasn't loving was it's $435 (on sale) price tag. I'm super excited about my two improvised finds, and can't wait to hunt for more copy-cat pieces! Perfection! With expensive tastes but a MiLB budget, I am ALLL about treasure hunting at homegoods. It's seriously THE best!! My favorite by far!